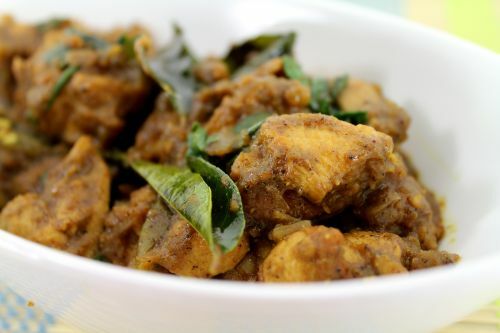 This is some what similar to the way we prepare chicken kuzhambu at kongunadu houses. We don’t add star anise, black stone flower. I added those to get the extra aroma which suites well for idili and dosa. 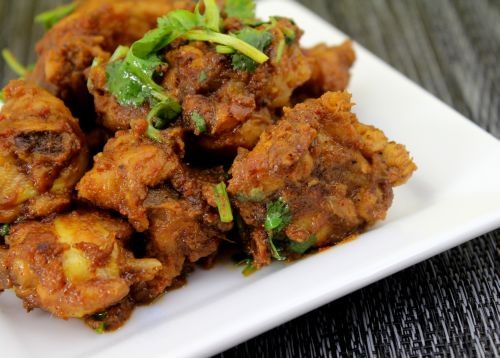 Preparing this with the whole chicken gives an extra ordinary taste. Chicken thighs or breasts can also be substituted but will get the taste little closer to the original. Cut chicken into small pieces, clean well in water and keep it aside. Take onions - 2 nos and chop it small pieces. Fry onion, pepper corn and cumin in oil until onion is translucent, allow it to cool down and grid into fine paste. Chop the remaining 1 onion, tomato. Grind the coconut into fine paste. In a pressure cooker, add sesame oil, add cinnamon, cloves, black stone flower and star anise. Immediately add the chopped onion and fry till translucent. Add ginger garlic paste and fry till the raw smell leaves. Add the ground onion paste,tomato and fry for a minute. 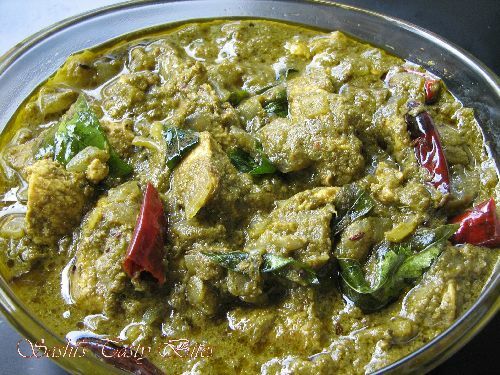 Add chicken, turmeric, curry leaves and salt and fry for 2 - 3 minutes. Add chili powder, coriander powder and mix well. Allow this to cook for about 10 minutes. Add the ground coconut paste, water 1 or 2 cups as required and close the lid. Allow it for 3 whistles and take out from the fire. After the pressure is released from the pressure cooker, open the lid and add coriander leaves. 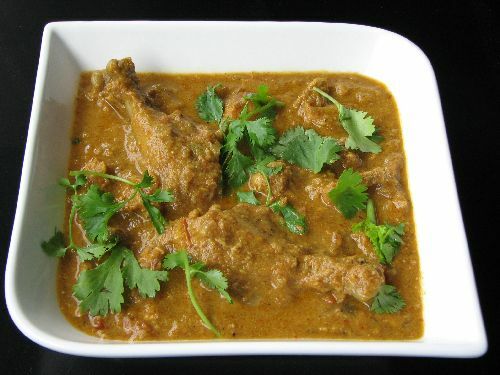 For US ppl, use the premium Cornish Game Hen else use the nattu kozhi, it would taste good with this gravy. I made this recipe little thick, if you want little watery you can add some water. 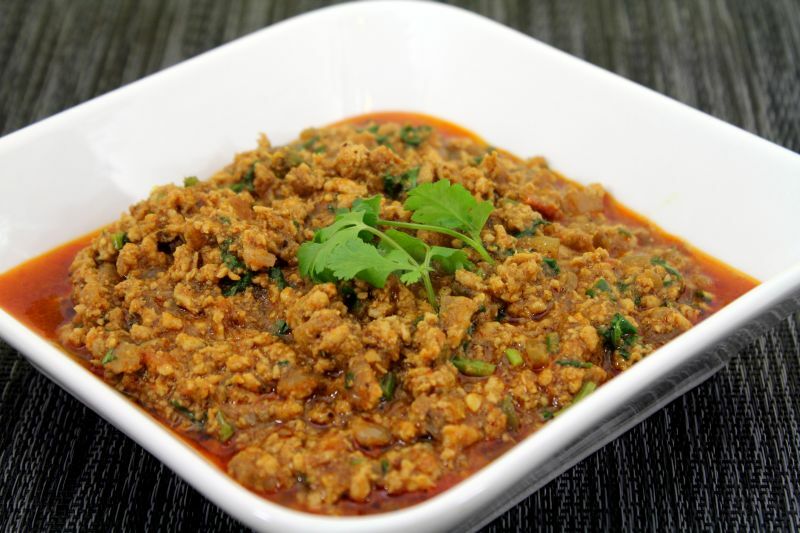 If you have home made curry masala use that instead of red chili powder and coriander powder. 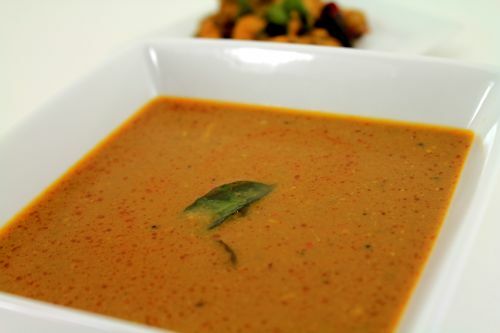 Serve with white Idili, Dosai rice, roti, chapathi and biriyani. 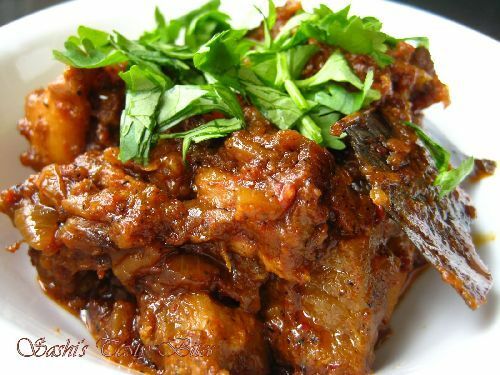 I tried this recipe and it came out very well…..This has been tested on our friends and they all loved it…I love all your recipes as I have tried many of them and they have come out very well…thank you for posting these.. Awesome!! Thanks for the comments and glad you enjoyed with ur friends!! This is an excellent dish. Thank you very much. I simplified it a bit for myself. I don’t grid the onions after frying. I just chop the onions very fine in a food processor and fry them. And along with the coconut i ground few cashew nuts. This gave an excellent grainy gravy. I also tried it with Mushrooms instead of chicken. Came out well. hmm.. sounds really interesting. Thanks for sharing Sankar, I bet it would taste good. Will try it soon. can U tell me what is the meant by Black stone flower in Tamil. Radha, Black Stone flower means Kalpasi in Tamil. You can get that in Biriyani masalas Section.